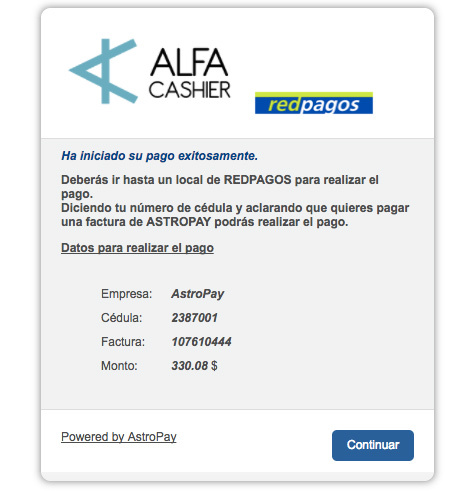 Here we provide detailed directions about how to buy Bitcoin with Astropay at ALFAcashier website by paying with AstroPay. By following our instructions, you can complete your purchase using a cryptocurrency supported by the website quickly and without further issues. Just follow the steps below. Payment method 1. Buying Bitcoin on the BUY page. 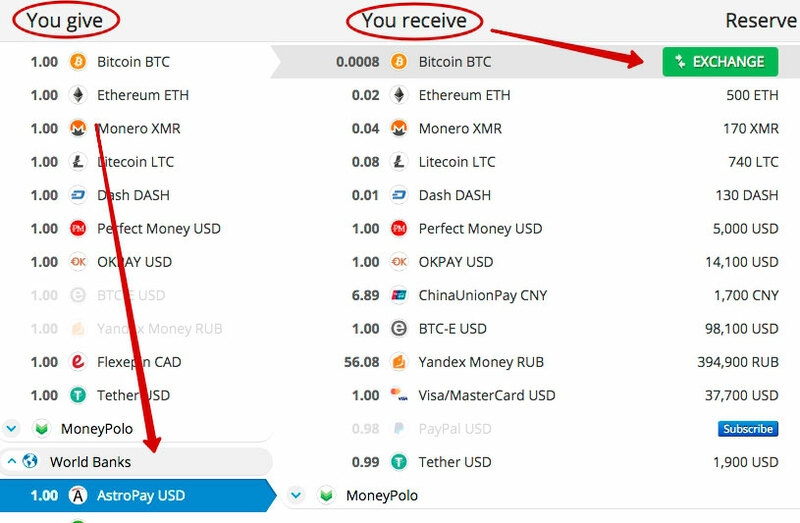 2.1 Next, you need to enter the amount of cryptocurrency that you want to buy and choose the currency that you would like to pay with (USD in our case). 2.2 The system will automatically calculate the amount that you will receive while taking into account the current exchange rate, commission, and your individual discount, if any. 2.3 Choose the payment method (AstroPay in our example). 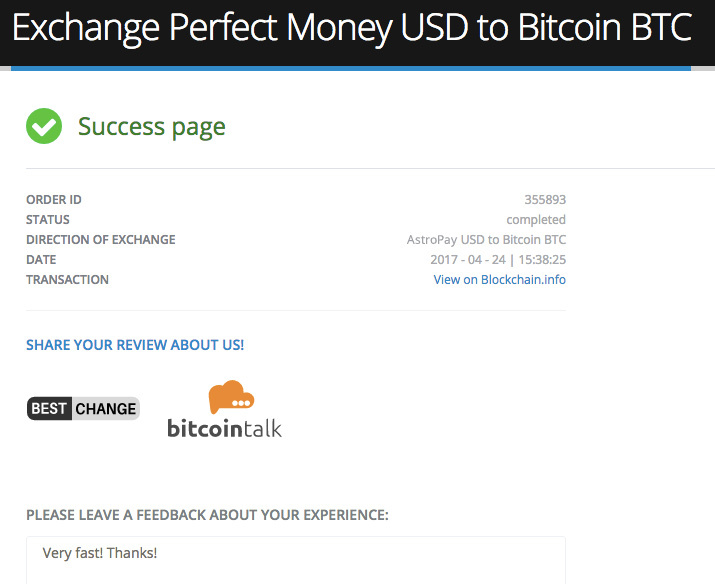 2.4 Below you will see the minimum and maximum amounts for which you can perform an exchange. 3.1 Choose your country (for example, Brazil). 3.2 Choose your bank (for example, Banko do Brasil). 3.3 Enter your national insurance number (CPF/DNI/ID). If you have any saved wallets, then you can use them at your convenience, and then the system will automatically fill in the required financial information. 5. 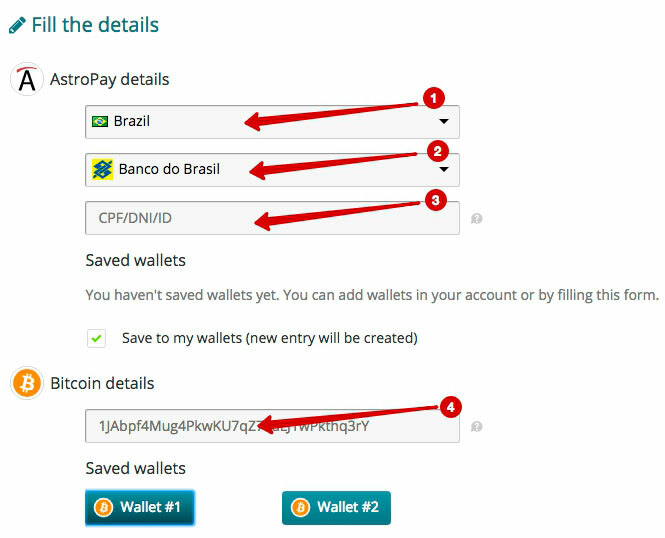 By clicking on the "Send" button, you will be taken to the payment page of the AstroPay system, where you need to enter your system data and then click on the "Continuar" button. Once all of the data has been verified, confirm your order by clicking on the "Continuar" button. Funds should be credited to your account within 5–15 minutes. ​Please note that for security reasons the first payment will be delayed for 72 hours. 6. 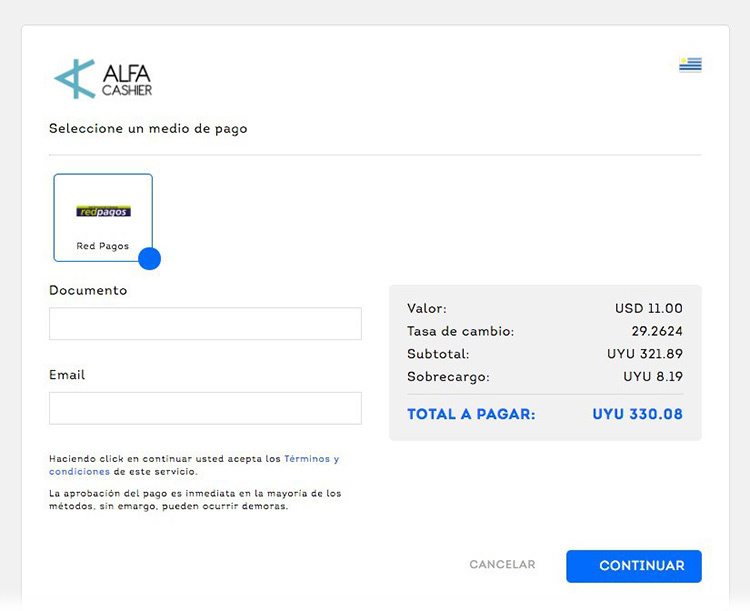 After payment is confirmed on the system page, you will be redirected to the Successful Payment Completion page on our ALFAcashier website. As soon as we receive payment, your order will be processed by our employees. In addition, a message with detailed information about the completed order will be sent to your e-mail. Payment method 2. Buying Bitcoin on the main page. 2.1 Next, you need to enter the amount of cryptocurrency that you want to purchase. Should you have any questions, please feel free to contact our Support Team.